Eton Properties Inc.’s newest development in Eton Centris, the Centris Cyberpod Five targets multinational and local BPO (business process outsourcing) companies. 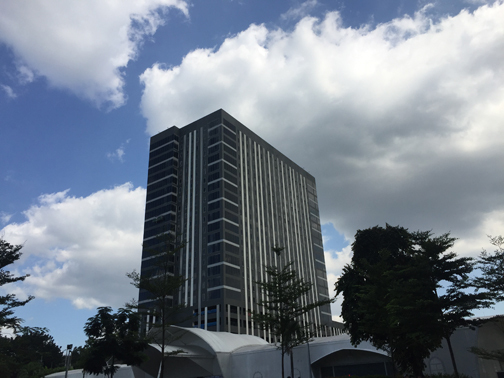 Centris Cyberpod Five is now open for business—the 25-story building features facilities suitable for BPO companies. The 25-story, fully provisioned building is designed with spaces flexible for configurations to ensure smooth workflow and overall employee well-being. A complete range of amenities and other modern conveniences will be available to enable business responsiveness and uninterrupted operations. As it is located at the corner of Edsa and Quezon Avenue, Centris Cyberpod Five provides easy access to transportation hubs, a range of restaurants and lifestyle establishments, and Quezon City’s many destinations and offices. Call (02) 548-4069 for leasing inquiries.